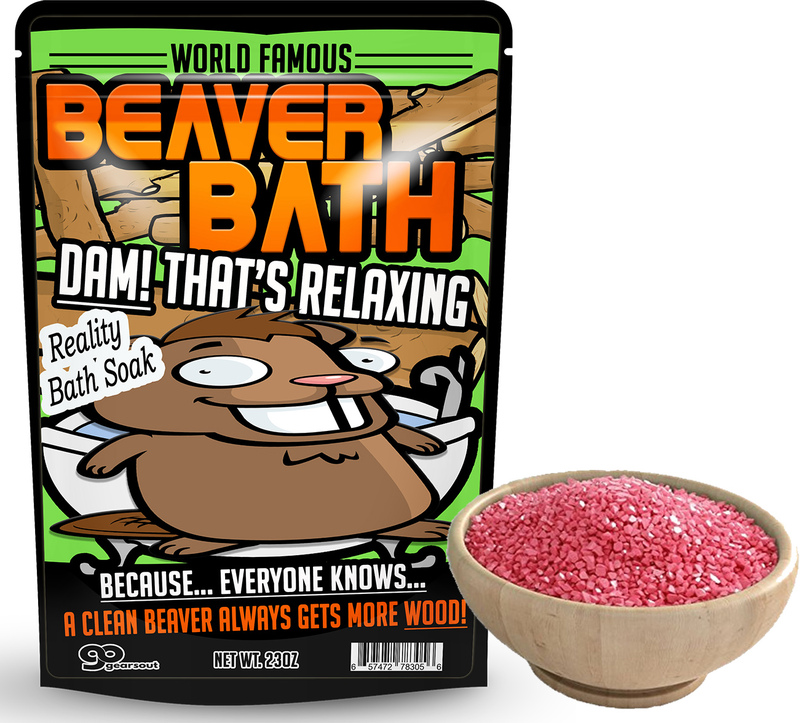 Beaver Bath Soak – Dam! That’s Relaxing! 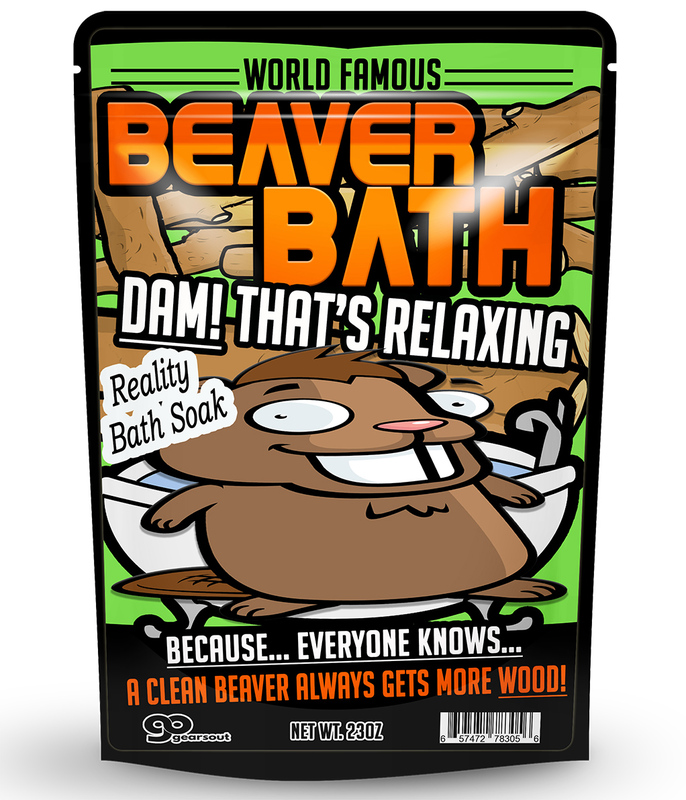 We understand that a busy beaver has needs, so we’ve specially designed Beaver Bath Soak just for them. A long day of munching on one thick log after another can leave you suffering from a mad case of swamp tail. 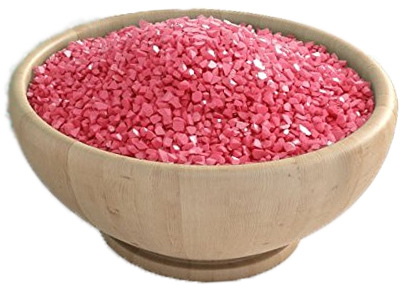 This sassy, pink bath soak will have your beaver feeling spunky, refreshed, and ready for all the wood life throws at it. 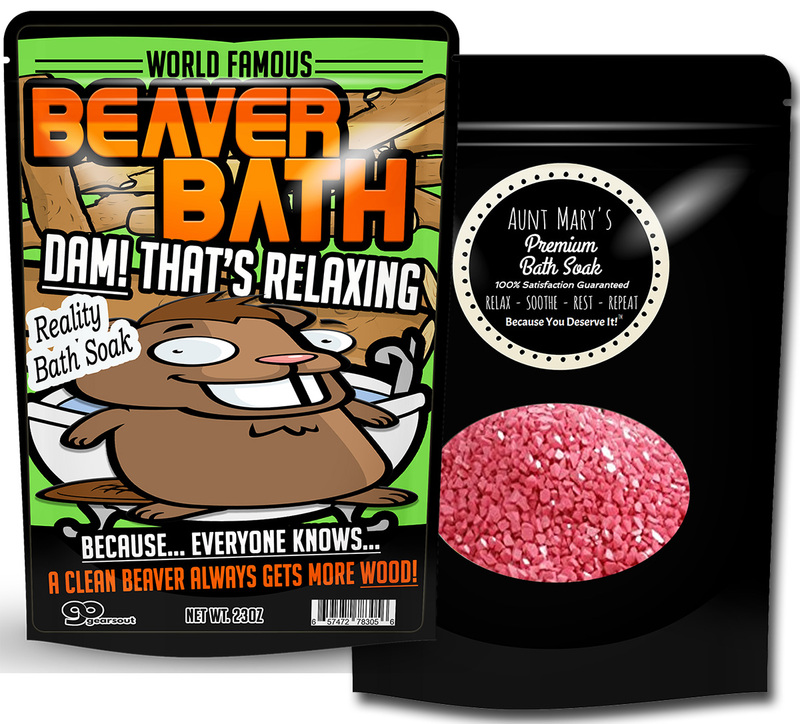 Beaver Bath Soak isn’t just a showstopping, unique gag gift for women, it says, “Your beaver matters.” This lighthearted gift for friends and family is a thoughtful, and hilarious addition to spa gift baskets, care packages, and bachelorette party gift baskets. Want to add some laughs to the holidays? Slip a bag of this weird pampering gift in as a funny stocking stuffer, or wrap it up as a silly, yet useful white elephant gift. Is Beaver Bath Soak just for women? NO WAY! Any man that enjoys a good beaver will be thrilled to be a beaver receiver! Everyone can benefit from the soothing tranquility that comes with a dip in some warm, wet, pink beavery goodness. Give it to him. We promise he’ll be excited to slide right in it.